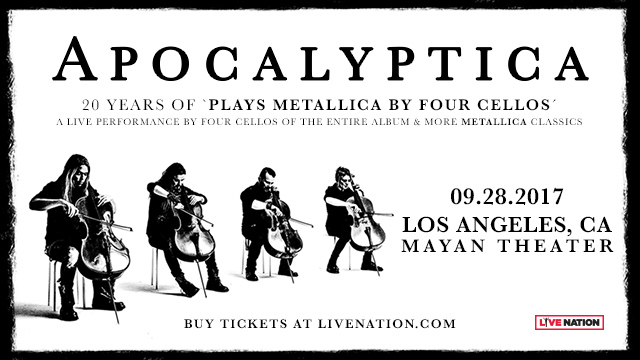 Enter below to win a pair of tickets to see Apocalyptica at the Mayan Theater in Los Angeles, CA on 9/28. Winner will be chosen on Wednesday, 9/27. Winner will pick up tickets directly at Will Call at the Mayan Theater with a valid ID.